0 Comment October 2, 2017 Like? Why is everyone posting Vertical Video? 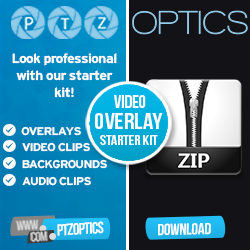 Is PTZOptics promoting the use of 9:16 video? Well, our camera can produce 9:16 video which is considered “Vertical Video”. The data on Vertical Video consumption is compelling but we asked our audience it’s hilarious the response! So I hope you enjoy this little skit above. Take 9:16 video seriously as you would any other aspect ratio… Understand it’s place and use it appropriately. We conducted a Social Media marketing study which confirmed a now well known fact that organic video will perform 10 times better than on Facebook then a shared YouTube video. Now we are seeing a new trend inside the “organic Facebook video” segment which recommends 9:16 video over 16:9 video for mobile users. So how do we plan on recording 9:16 video. Well at this point in our live streaming and video production setup we can’t abandon 16:9 video. Currently the major platforms only support live streaming in 9:16 via smartphones and our goal is to produce high quality video productions with multiple camera angles as close to or equal to TV quality. So, we have to start thinking about recording 9:16 content simultaneously with our traditional 16:9 content. The Huffington Post authors Jill Sherman and Randy Romero put it best with “Don’t fear the Crop” in the last section of the article (here). We all need to respond to consumer expectations and soon enough everyone will be making more vertical video. Here at PTZOptics we have seen the benefits of “playing nice” with the social media platforms first hand. Since it is possible to simultaneously record 6:16 and 16:9 will certainly be doing so when possible. Not only that, but 50 percent of all video is being consumed on these smartphone devices that are changing the world. So how do we create professional vertical video? We’re all used to 16 by 9. Let’s talk about 9 by 16. All this and more coming up next. So, I want to show you guys a couple of tricks about 9 by 16 video. First of all, the PTZ Optics cameras can all be used for 9 by 16 video. Since there’s 16 by 9 cameras, all we have to do is mount them sideways. Now for the PTZOptics cameras, that can be – you can use it. But the pan and tilt is not going to be the same as a normal 16 by 9. So at this point, we’ve tested all of our box cameras, which are static cameras. We have a 20X optical zoom camera and this camera that you’re looking right at me now, which is our wide angle box cam. All you have to do is mount them sideways as you can see in this video and that will turn them into 9 by 16 videos. We can use Open Broadcaster Software, as you can see right here. That’s Open Broadcaster on a giant television and this is kind of cool, this 9 by 16 video format and it just performs really well on mobile. In fact the latest Snapchat statistics say that nine times as many viewers will finish the video if it’s produced in 9 by 16 portrait mode. Snapchat is all the young kids. All the trends are being set there. Also, big news. YouTube now supports vertical video. All you have to do is upload your vertical video and 9 by 16. Well, what’s all that black space there? We don’t want that. it automatically scales as soon as you go full screen. So whether you’re on a smart phone or a tablet, people are using these in portrait mode and guess what. When you’re a first mover, when you’re getting out there, it looks like we’ve done some initial testing here that you get more views organically on Facebook and YouTube. In fact it kind of reminds me of when I realized that organic videos uploaded to Facebook do much better than shared YouTube videos. A little tip for you there. So let me talk a little bit about some examples of how you could use 9 by 16 video in your live streaming and video production work flow. Yes, you are going to need more cameras. So that’s why I suggest either our PTZ Optics Z cam with the variable lens, which can put any lens you want on or our integrated 20X Z cams. All you have to do is rotate the camera 90 degrees, so you’ve got a regular 16 by 9 camera for your existing video production workflow and then you can also use it as a 9 by 16. What I would suggest is running Open Broadcaster Software, which can be set up in 1080 by 1920. Yeah, 1920 by 1080, the reverse, and you can go ahead and record in that format and then upload those live videos to Facebook, to YouTube and now they’re optimized for mobile viewers. Let’s think of an example here. Now first of all, I want to highly state that you should always be thinking about 16 by 9. It’s not dead by any stretch or means. In fact you should always build your system by 16 by 9 first, because you can only stream in 16 by 9. The only way to stream in 9 by 16 is with a mobile device and we all know that is pretty consumerism. It’s not going to create a professional look for our brand. So let’s say you’re live streaming an event. Let’s say Donald Trump is out there and you’re live streaming with five or six different 16 by 9 cameras. That’s how all the professional cameras are built today and you’ve live streaming it to Facebook and YouTube and you’ve got thousands of viewers. Well, what you might want to do is have a second system that’s built for 9 by 16 and you can zoom in all the way across the room with our 20X optical zoom camera and record in that native 1080 by 1920, the vertical format, and then get those snippets, those little bits of information that are going to go viral on Twitter, Snapchat, Facebook, the mobile world, even YouTube now supporting vertical. Record those videos and then upload them, so that they’re already ready in the native format and it’s a great way to increase your video production workflow. Now let me show you one of our PTZ Optics cameras actually that I have in the ceiling. If you look here, look at how you could do a product presentation. This is Tess’s makeup lipstick thing here and as you can see, look how good it looks when you do it in a vertical setting. There’s all the pretty colors there and you can see. This is actually a PTZ Optics camera. OK? Our normal cameras are PTZ cameras and they will – if you’re zoomed in enough – actually do fine in 9 by 16. So as long as you’re using – it’s basically just rotating the video in your video production system. It looks great. So I will leave you with this. We have a free guide on 9 by 16 video. I have written down everything that I’ve learned on how to set it up, why it’s so important. I have a bunch of statistics from the Huffington Post, showing all the data. It’s really compelling and this free guide will just step you through the process of getting started with 9 by 16 vertical videos. So you can download that below.